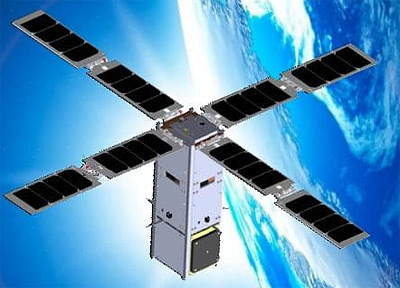 The BRIO is a 3U CubeSat built by SpaceQuest, Ltd., a U.S. corporation headquartered in Fairfax, Virginia, to test and evaluate an advanced RF Transceiver developed by Myriota, a spin-off company from the University of South Australia. Myriota has designed a novel communications protocol that uses a Software Defined Radio (SDR) and advanced signal processing that allows very large numbers of low power signals from user terminals to be received on the same frequency channel. Myriota desires to evaluate the ability of this advanced radio to function in a space environment. If successful, this would bring a cost-effective data communication technology to a new class of users – those with operations that require direct-to-orbit access to small amounts of data from numerous low-power devices. The primary objective of the mission is to evaluate the Myriota communications waveforms and firmware on board the experimental payload. It is to investigate, identify and resolve potential technical and implementation issues with its advanced satellite SDR radio design. Another important objective is to demonstrate the ability to upload and run new firmware that can introduce new features to the SDR Radio after it is on orbit. The results of this three-phase experiment will demonstrate and validate the ability to uplink large numbers of messages to a satellite using a single channel, demonstrate the ability to downlink messages to different ground devices on a single channel, and implement Myriota’s advanced signal processing algorithms on board a satellite to provide highly spectrally efficient bidirectional communications.